Zimmern o. R., December 2015. RAMPF Production Systems, a leading provider of systems for processing one-, two-, and multi-component reaction resin systems, as well as automation solutions, is presenting its expert knowledge for gasketing on metal surfaces at IMTEX Forming 2016 – hall 2A, booth B107. The focus of the trade fair for the Indian metal forming industry at Bangalore International Exhibition Centre from January 21 – 26 will be the dispensing robot C-DR.
FIPFG (Formed-In-Place-Foam-Gasket) systems stand for the cost-effective and easy automation of industrial manufacturing processes. The technology involves the application of a gasket directly to the workpiece using a two-component mixing and dispensing machine. The quick-drying gasket reacts within a couple of minutes and facilitates quick joining and assemblies. FIPFG can be used for gaskets of practically any shape or form, and on a number of different surfaces – including metal. The C-DR robot is characterized by a compact and integrated design and can be easily operated via graphical color touch screen with user-guided IPC controller. The integrated RAMPF dispensing equipment with servo-driven gear pumps and servo-driven dynamic mixer as well as the nucleation controller ensure a reliable high-quality production. Flow rate, mixing ratio (from 100:100 – 100:10), and processing parameters can be freely adjusted. With more than 2,700 system solutions on the market, the product portfolio of RAMPF Production Systems ranges from the C-DR to the highly complex dispensing robot DR-CNC. With its separate material conditioning unit, the DR-CNC offers maximum flexibility for dynamic sealing, bonding, and casting. Variable X-Y-Z strokes also enable three-dimensional material application. 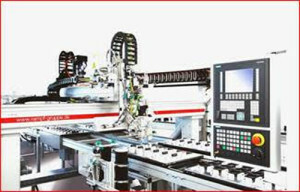 The Sinumerik 840D Solution Line control technology with OP08 operating panel means the DR-CNC combines the mixing and dispensing system with maintenance-free CNC linear axes. The result is flawless interplay between the dispensing process and axis motion sequences. Flexible automation solutions are also possible, from manual through to automatic part loading. There are a number of additional fit-out options, including rotary index tables, shuttle tables, conveyor lines, and customized automation. The international RAMPF Group based in Germany offers customers material and machine from a single source. Whilst RAMPF Production Systems offers customers dispensing machines and automation for PU gasketing on metal parts, sister company RAMPF Polymer Solutions stands for first-class PU foam gaskets for the automobile, packaging, and electronics industries. RAMPF is represented on the Indian market by its local service partner Sanika Engineering & Consultancy. 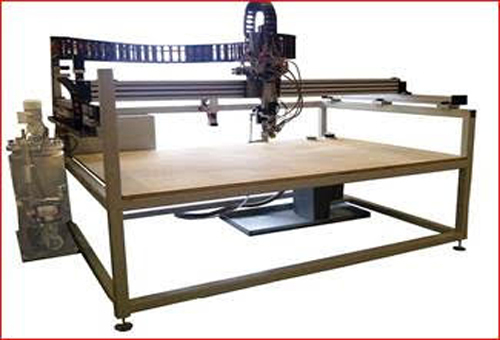 The company uses dispensing machines from RAMPF Production Systems to manufacture sealing and bonding products for renowned customers amongst others in the automotive, electrics / electronics, energy, filter, and steel industry. “We are a leading end-to-end partner for materials, processing, and consulting on the Indian market and have been working closely together with RAMPF since 2009,” says Ulhas B. Peddawad, Managing Director of Sanika Engineering & Consultancy Pvt. Ltd.